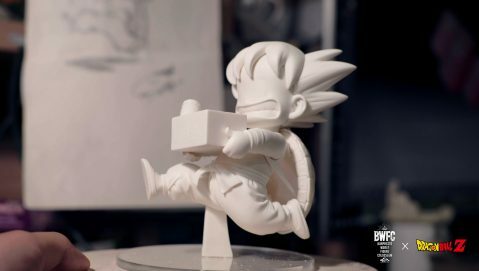 Representing Korea, G.O attempts to bring an iconic moment from Dragon Ball history back to life with his interpretation of Child Goku. 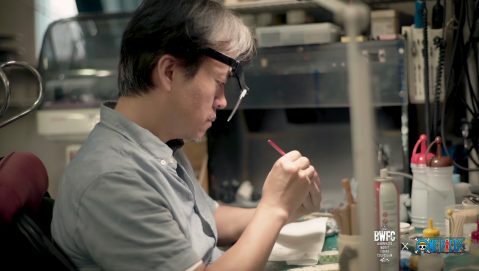 This might be his first time in the BWFC, but he brings with him years of experience. 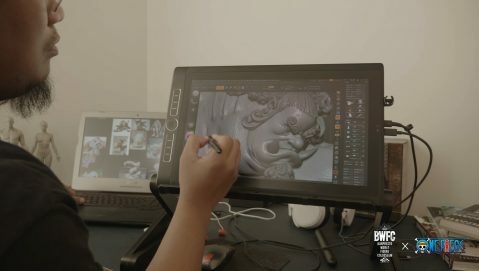 Filipino contestant Jem Gonzales brings his A-game to the competition with his sculpture of Goku Black. 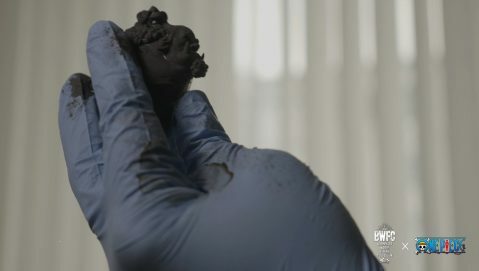 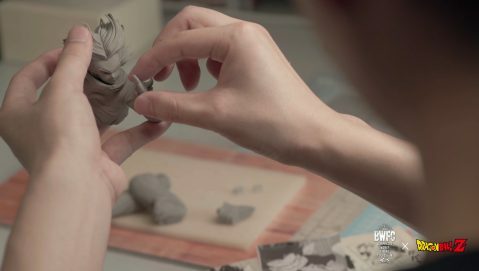 Starting from humble beginnings, sculpting with cast-like material used to heal broken bones, Jem now finds himself on the world stage. 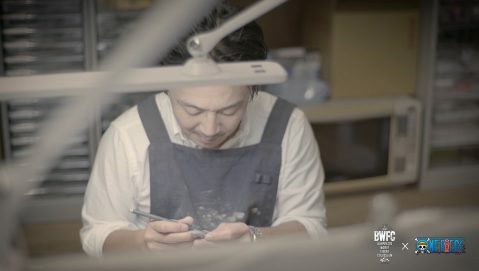 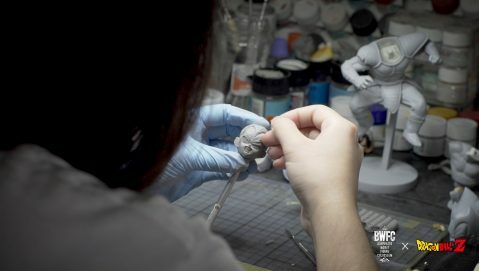 Manabu's attention to detail and meticulous process gives his figure a unique look that is unlike any other artist. 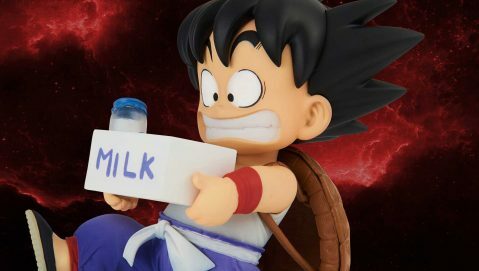 Will his take on Son Goku bring home a win for Japan? 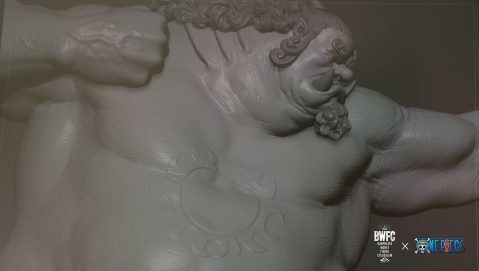 Or will his dreams be shattered in the Colosseum? 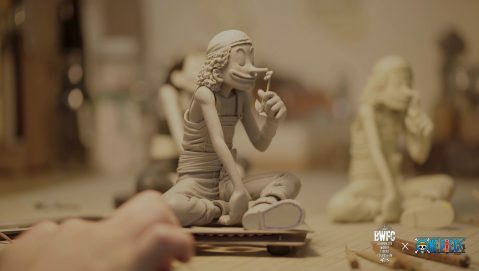 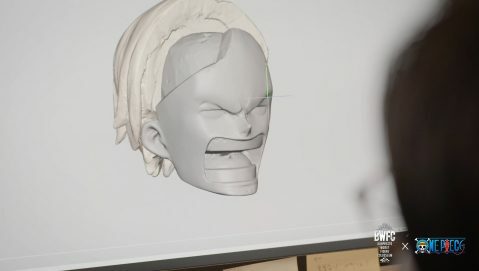 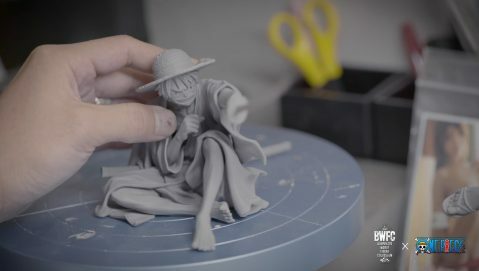 One Piece might be known for its action-packed scenes and deep character drama, but Japanese sculptor KENGO chose to sculpt the more peaceful side of the Straw Hat Pirate Crew. 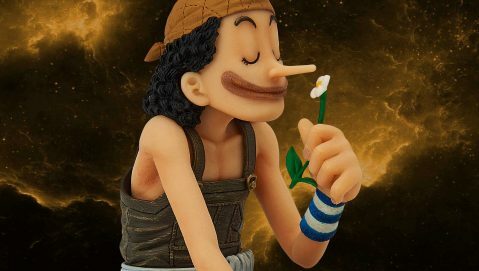 Usopp certainly seems to be enjoying that flower. 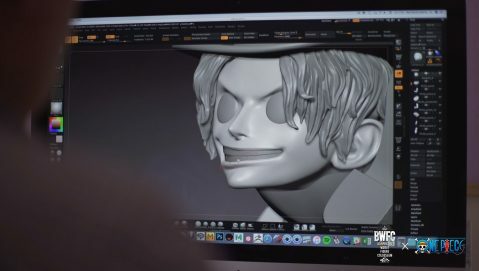 Sabo might have been a rascal as a child, but became a respected fighter in his adulthood. 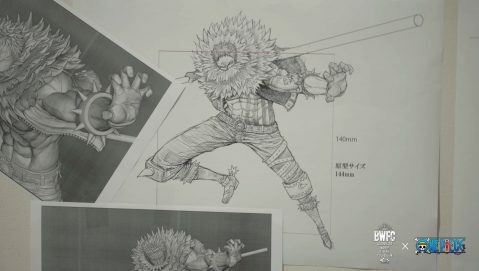 It would be unfortunate for anyone who was on the receiving end of that staff. 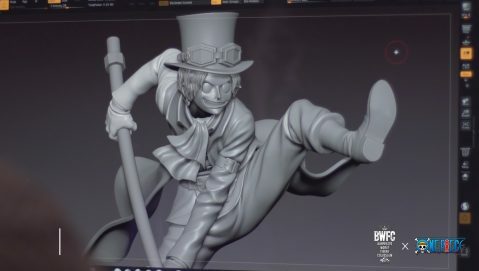 Raul chose Sabo for his dynamic actions. 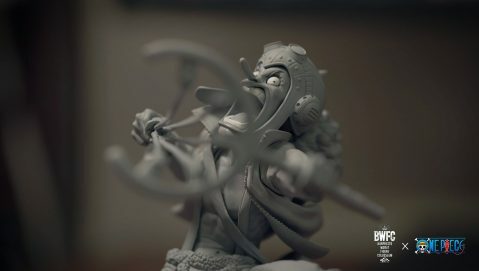 Ronald was a long-time fan of One Piece, and chose Jinbei for the challenge of sculpting his sumo-wrestler like form. 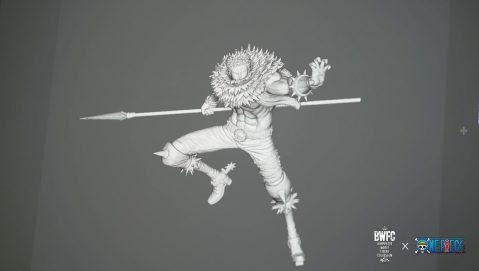 The pose? 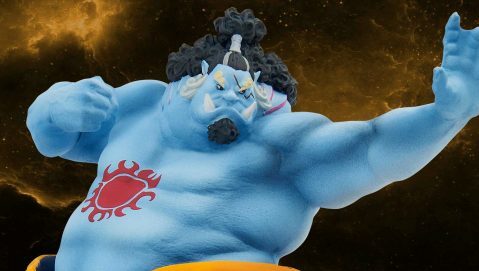 Jinbei's iconic stance as he gets ready to put his opponent down for good. 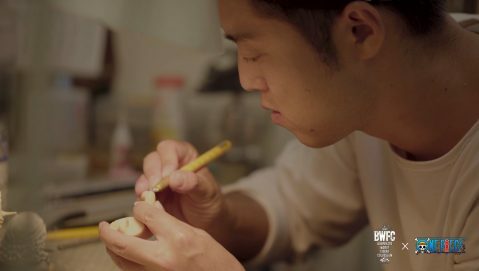 How will this contestant from the Philippines fare against the world's best? 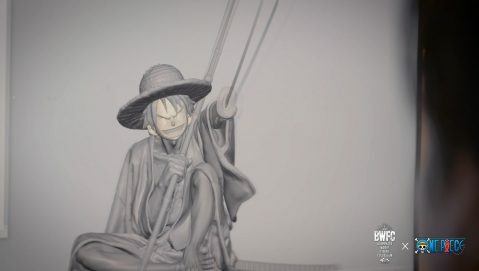 In this 1-minute Figure Spotlight, Banpresto World Figure Colosseum 2018 contestant French Doll details his process and the creation of his entry. 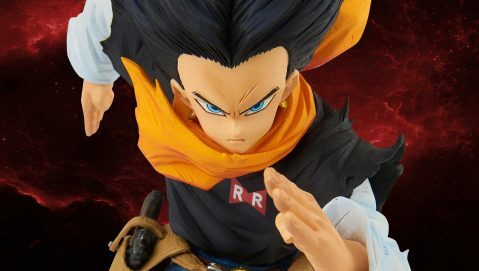 In this 1-minute Figure Spotlight, Banpresto World Figure Colosseum 2018 contestant Goraesh details his process and the creation of his entry. 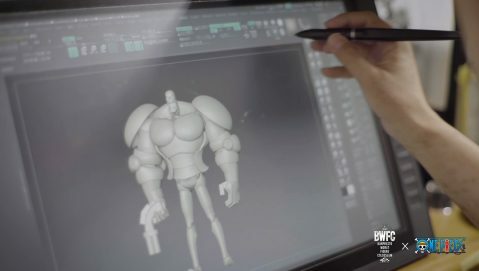 In this 1-minute Figure Spotlight, Banpresto World Figure Colosseum 2018 contestant Kengo details his process and the creation of his entry. 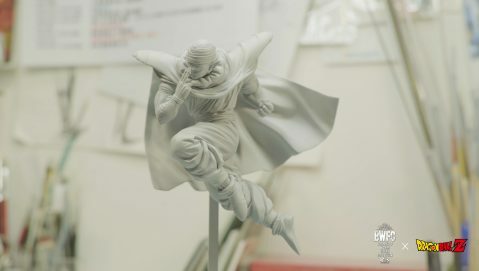 In this 1-minute Figure Spotlight, Banpresto World Figure Colosseum 2018 contestant Raul details his process and the creation of his entry. 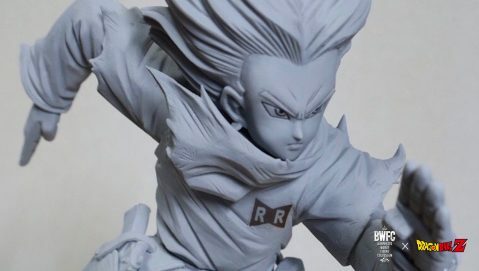 In this 1-minute Figure Spotlight, Banpresto World Figure Colosseum 2018 contestant Ronald Gebilaguin details his process and the creation of his entry. 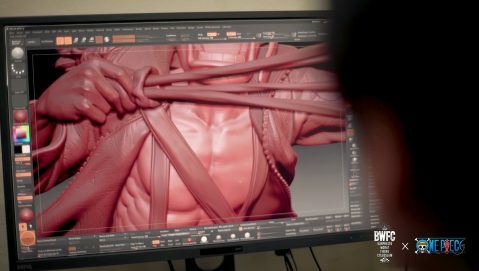 In this 1-minute Figure Spotlight, Banpresto World Figure Colosseum 2018 contestant Wu Han details his process and the creation of his entry. 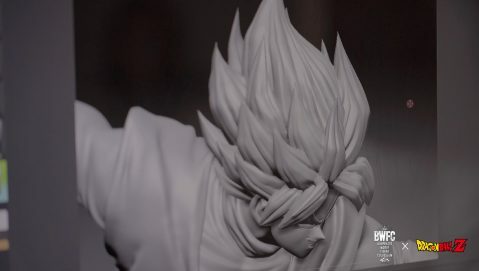 In this 1-minute Figure Spotlight, Banpresto World Figure Colosseum 2018 contestant Noriyuki Yamaguchi details his process and the creation of his entry. 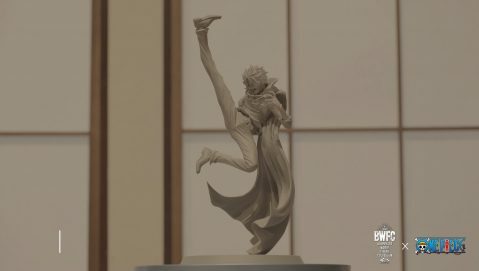 In this 1-minute Figure Spotlight, Banpresto World Figure Colosseum 2018 contestant Urota Takahashi details his process and the creation of his entry. 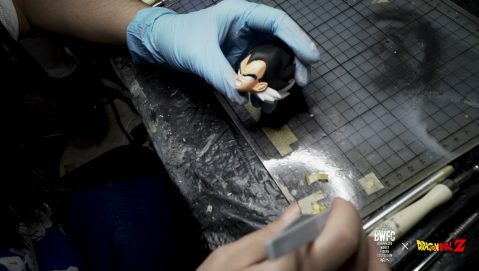 In this 1-minute Figure Spotlight, Banpresto World Figure Colosseum 2018 contestant Erick Sosa details his process and the creation of his entry. 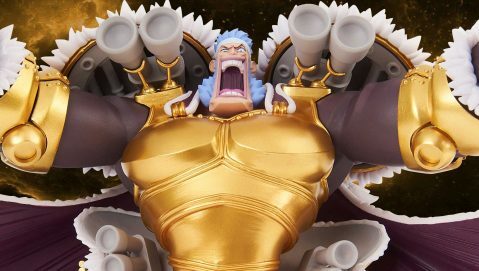 In this 1-minute Figure Spotlight, Banpresto World Figure Colosseum 2018 contestant G.O. 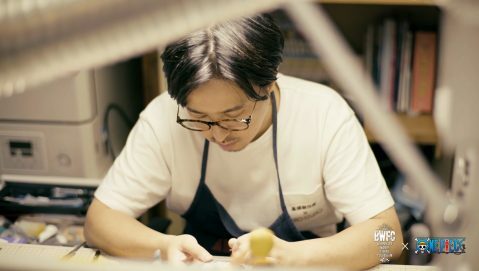 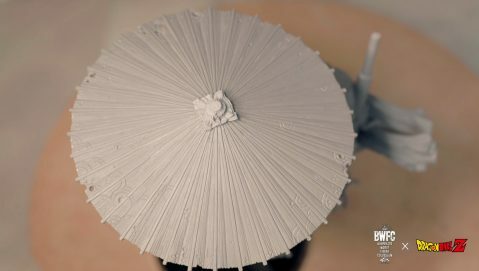 details his process and the creation of his entry. 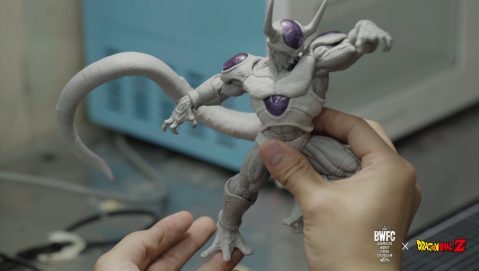 In this 1-minute Figure Spotlight, Banpresto World Figure Colosseum 2018 contestant Lee Doo Yeon details his process and the creation of his entry. 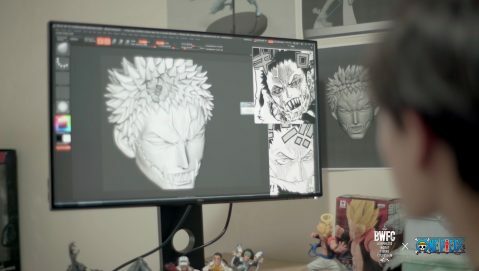 In this 1-minute Figure Spotlight, Banpresto World Figure Colosseum 2018 contestant Ken Matsuura details his process and the creation of his entry. 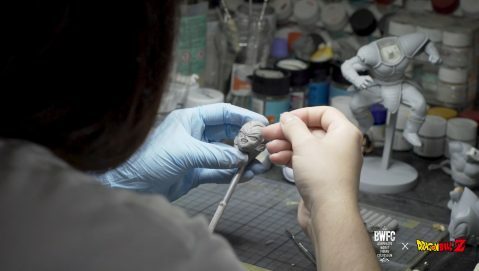 In this 1-minute Figure Spotlight, Banpresto World Figure Colosseum 2018 contestant MRS details their process and the creation of their entry. 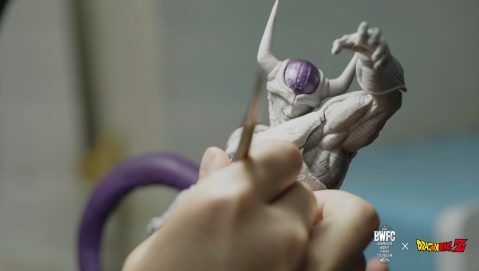 In this 1-minute Figure Spotlight, Banpresto World Figure Colosseum 2018 contestant VAROQ details his process and the creation of his entry. 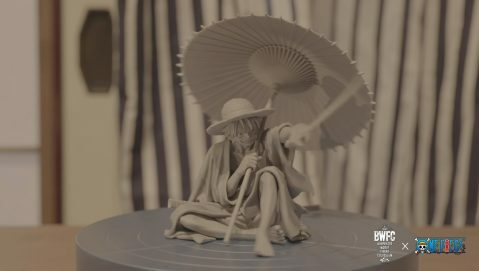 In this 1-minute Figure Spotlight, Banpresto World Figure Colosseum 2018 contestant Manabu Yamashita details his process and the creation of his entry. 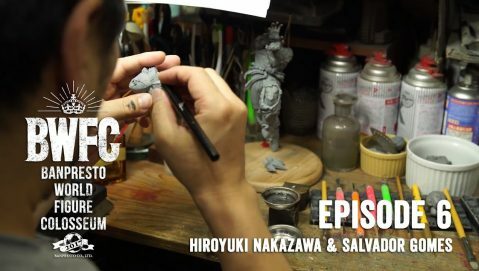 In this 1-minute Figure Spotlight, Banpresto World Figure Colosseum 2018 contestant Hiroyuki Nakazawa details his process and the creation of his entry. 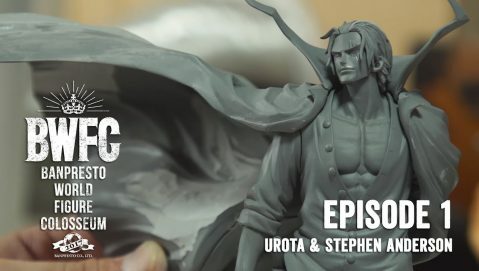 Dive into the mind of Banpresto World Figure Colosseum 2018 contestant UROTA, and understand what drives and inspires him in this 1-minute Philosophy Feature. 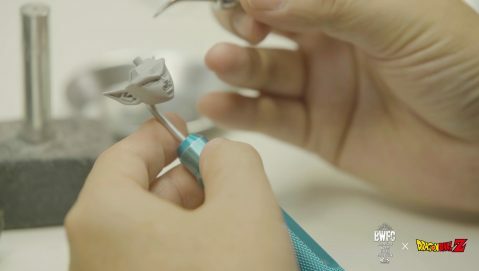 Dive into the mind of Banpresto World Figure Colosseum 2018 contestant Wu Han, and understand what drives and inspires him in this 1-minute Philosophy Feature. 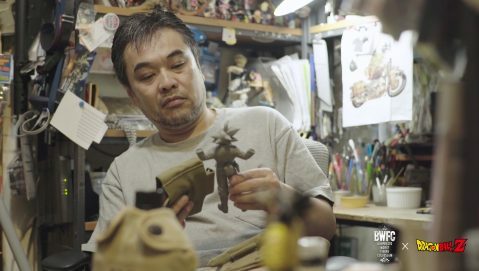 Dive into the mind of Banpresto World Figure Colosseum 2018 contestant Noriyuki Yamaguchi, and understand what drives and inspires him in this 1-minute Philosophy Feature. 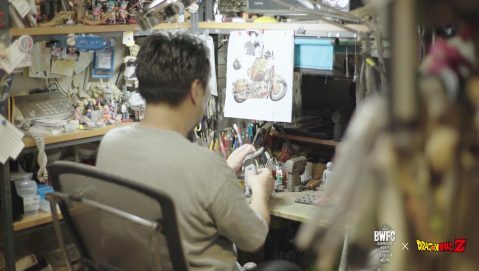 Dive into the mind of Banpresto World Figure Colosseum 2018 contestant Ronald, and understand what drives and inspires him in this 1-minute Philosophy Feature. 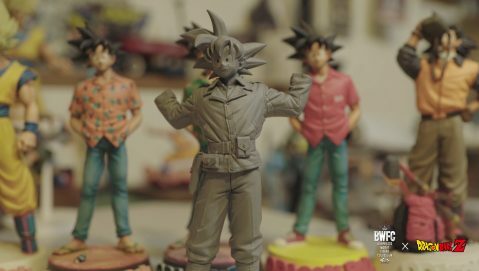 Dive into the mind of Banpresto World Figure Colosseum 2018 contestant Raul, and understand what drives and inspires him in this 1-minute Philosophy Feature. 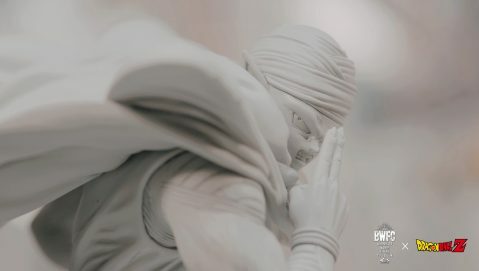 Dive into the mind of Banpresto World Figure Colosseum 2018 contestant Goraesh, and understand what drives and inspires him in this 1-minute Philosophy Feature. 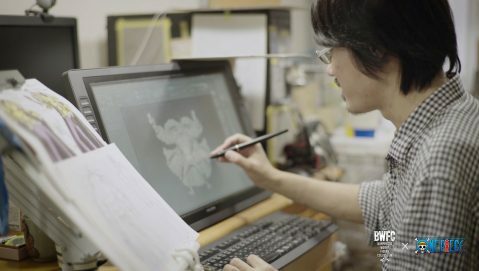 Dive into the mind of Banpresto World Figure Colosseum 2018 contestant KENGO, and understand what drives and inspires him in this 1-minute Philosophy Feature. 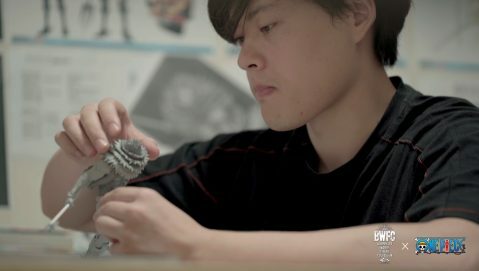 Dive into the mind of Banpresto World Figure Colosseum 2018 contestant Yuta Fuke, and understand what drives and inspires him in this 1-minute Philosophy Feature. 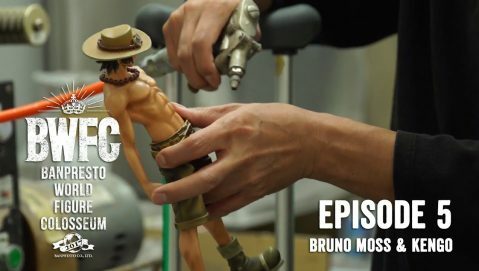 Dive into the mind of Banpresto World Figure Colosseum 2018 contestant French Doll, and understand what drives and inspires him in this 1-minute Philosophy Feature. 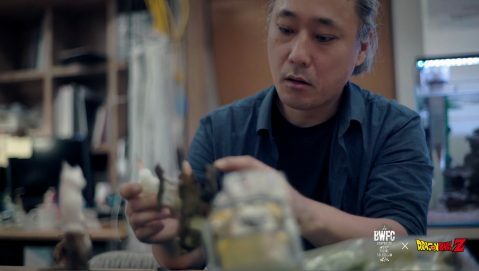 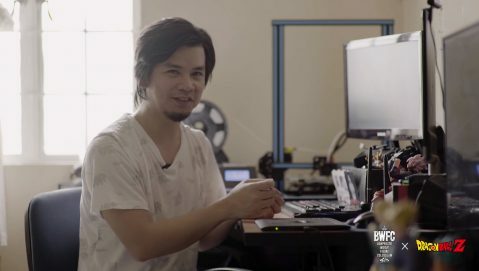 Dive into the mind of Banpresto World Figure Colosseum 2018 contestant Hiroyuki Nakazawa, and understand what drives and inspires him in this 1-minute Philosophy Feature. 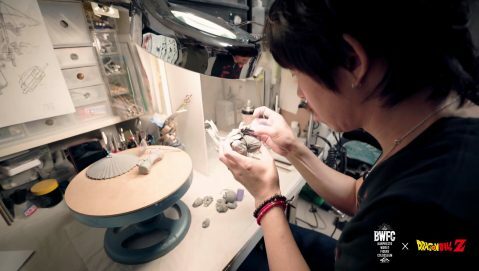 Dive into the mind of Banpresto World Figure Colosseum 2018 contestant Manabu Yamashita, and understand what drives and inspires him in this 1-minute Philosophy Feature. 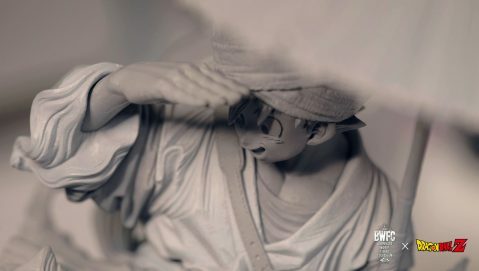 Dive into the mind of Banpresto World Figure Colosseum 2018 contestant MRS, and understand what drives and inspires him in this 1-minute Philosophy Feature. 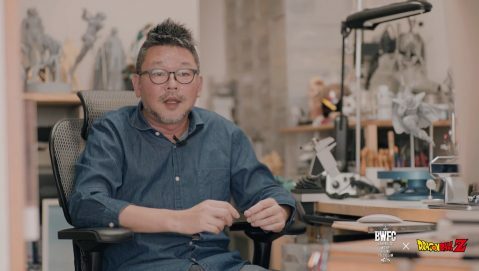 Dive into the mind of Banpresto World Figure Colosseum 2018 contestant Ken Matsuura, and understand what drives and inspires him in this 1-minute Philosophy Feature. 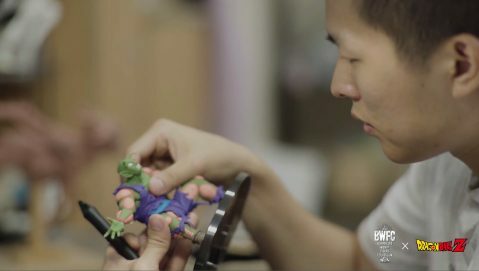 Dive into the mind of Banpresto World Figure Colosseum 2018 contestant Lee Doo Yeon, and understand what drives and inspires him in this 1-minute Philosophy Feature. 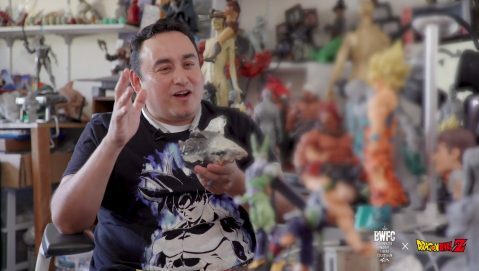 Dive into the mind of Banpresto World Figure Colosseum 2018 contestant Erick Sosa, and understand what drives and inspires him in this 1-minute Philosophy Feature. 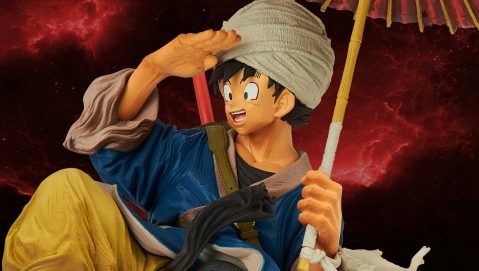 Find out why Banpresto World Figure Colosseum 2018 contestant KENGO, chose to sculpt Usopp in this 1-minute Character Selection Feature. 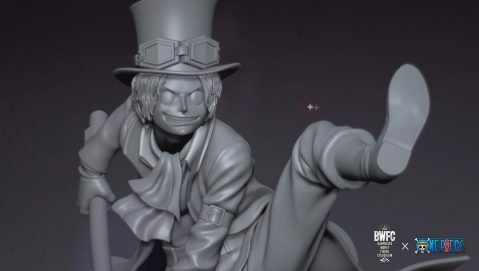 Find out why Banpresto World Figure Colosseum 2018 contestant Raul, chose to sculpt Sabo in this 1-minute Character Selection Feature. 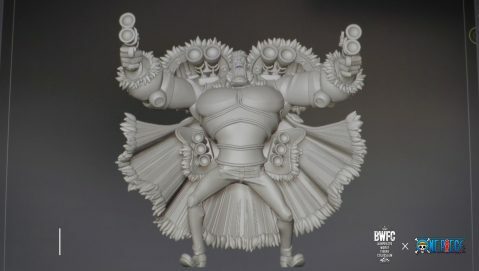 Find out why Banpresto World Figure Colosseum 2018 contestant Ronald, chose to sculpt Jinbe in this 1-minute Character Selection Feature. 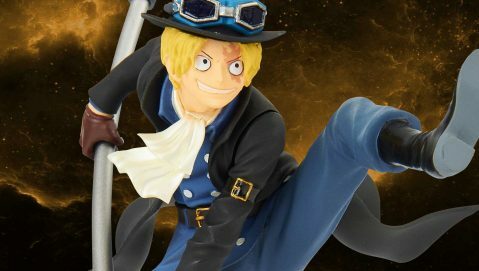 Find out why Banpresto World Figure Colosseum 2018 contestant UROTA, chose to sculpt Sanji in this 1-minute Character Selection Feature. 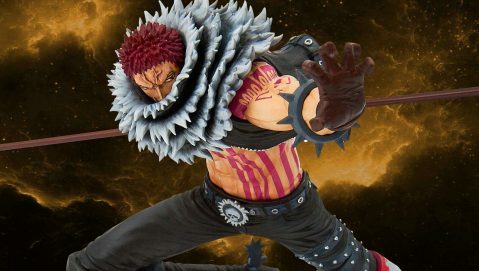 Find out why Banpresto World Figure Colosseum 2018 contestant Wu Han, chose to sculpt Katakuri in this 1-minute Character Selection Feature. 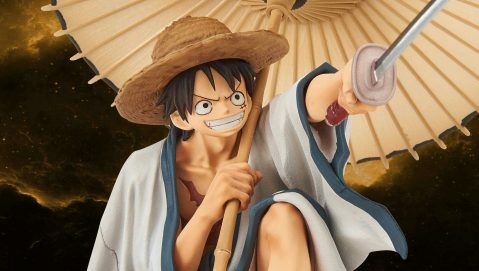 Find out why Banpresto World Figure Colosseum 2018 contestant Noriyuki Yamaguchi, chose to sculpt Luffy in this 1-minute Character Selection Feature. 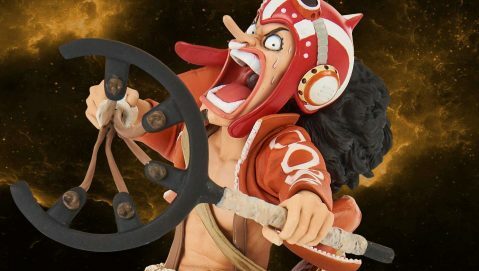 Find out why Banpresto World Figure Colosseum 2018 contestant Goraesh, chose to sculpt Usopp in this 1-minute Character Selection Feature. 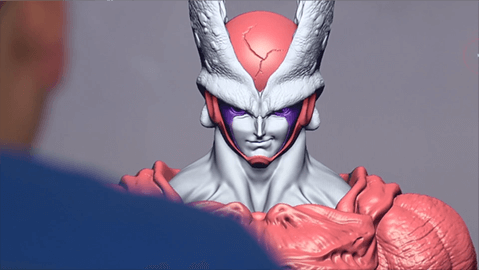 Find out why Banpresto World Figure Colosseum 2018 contestant Yuta Fuke, chose to sculpt Don Kreig in this 1-minute Character Selection Feature. 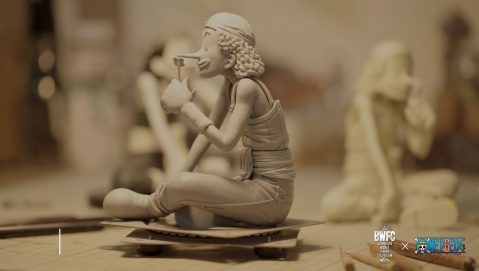 Find out why Banpresto World Figure Colosseum 2018 contestant French Doll, chose to sculpt Nami in this 1-minute Character Selection Feature. 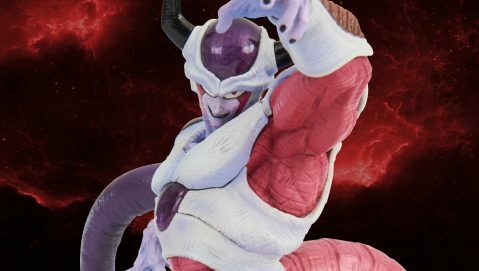 Find out why Banpresto World Figure Colosseum 2018 contestant Lee Doo Yeon, chose to sculpt Freiza's 2nd Form in this 1-minute Character Selection Feature. 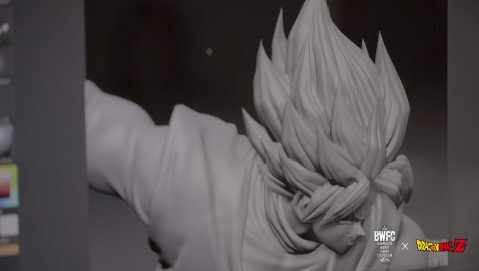 Find out why Banpresto World Figure Colosseum 2018 contestant Manabu Yamashita, chose to sculpt Son Goku in this 1-minute Character Selection Feature. 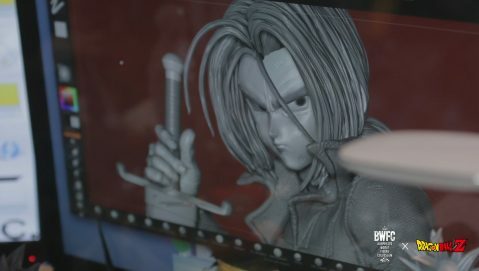 Find out why Banpresto World Figure Colosseum 2018 contestant VAROQ, chose to sculpt Android 17 in this 1-minute Character Selection Feature. 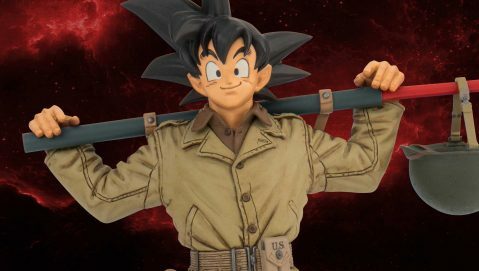 Find out why Banpresto World Figure Colosseum 2018 contestant Hiroyuki Nakazawa, chose to sculpt "Military" Son Goku in this 1-minute Character Selection Feature. 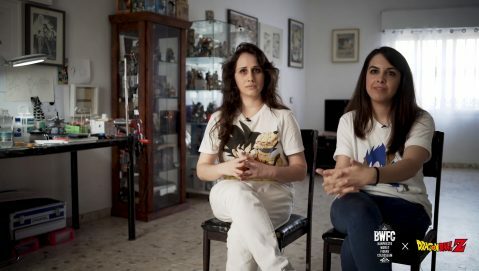 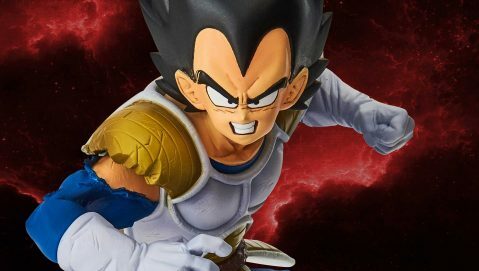 Find out why Banpresto World Figure Colosseum 2018 contestant MRS, chose to sculpt Vegeta in this 1-minute Character Selection Feature. 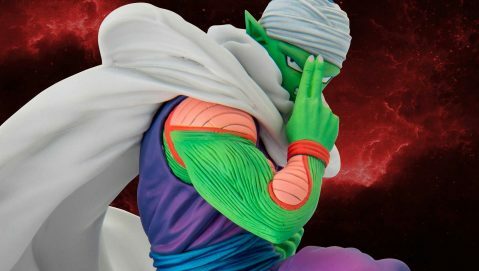 Find out why Banpresto World Figure Colosseum 2018 contestant Ken Matsuura, chose to sculpt Piccolo in this 1-minute Character Selection Feature. 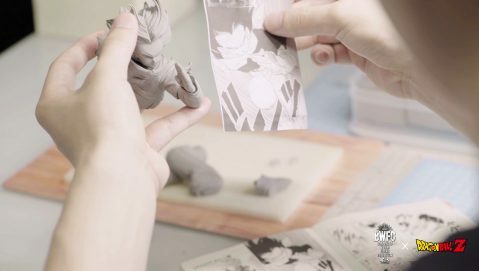 Find out why Banpresto World Figure Colosseum 2018 contestant G.O., chose to sculpt Child Goku in this 1-minute Character Selection Feature. 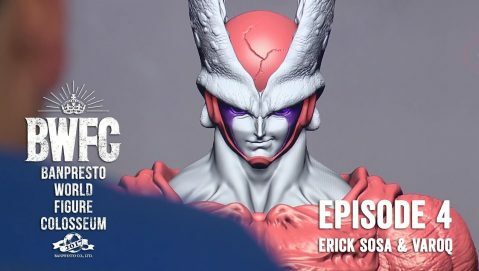 Find out why Banpresto World Figure Colosseum 2018 contestant Erick Sosa, chose to sculpt Future Trunks in this 1-minute Character Selection Feature. 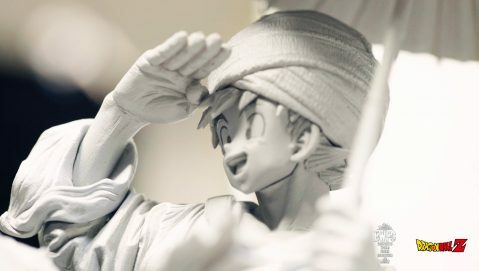 Get to know Banpresto World Figure Colosseum 2018 contestant Noriyuki Yamaguchi, representing Japan and sculpting Luffy in this 1-minute Artist Spotlight. 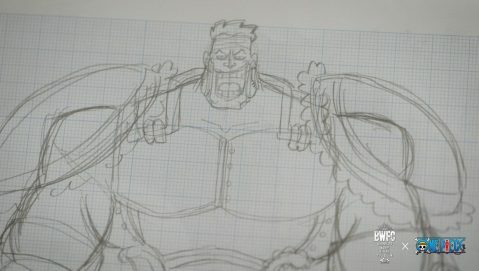 Get to know Banpresto World Figure Colosseum 2018 contestant Wu Han, representing Japan and sculpting Charlotte Katakuri in this 1-minute Artist Spotlight. 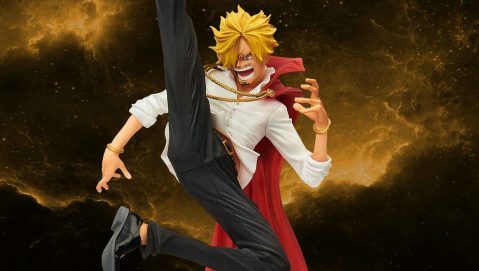 Get to know Banpresto World Figure Colosseum 2018 contestant UROTA, representing Japan and sculpting Sanji in this 1-minute Artist Spotlight. 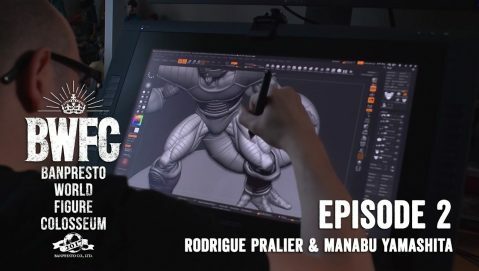 Get to know Banpresto World Figure Colosseum 2018 contestant Ronald Gebilaguin, representing the Philippines and sculpting Jinbe in this 1-minute Artist Spotlight. 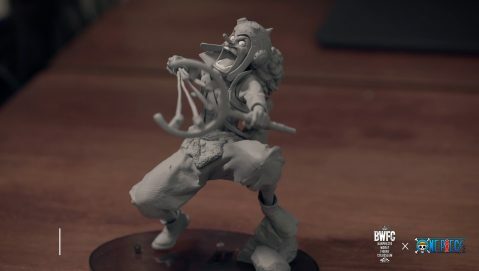 Get to know Banpresto World Figure Colosseum 2018 contestant Goraesh, representing Korea and sculpting Usopp in this 1-minute Artist Spotlight. 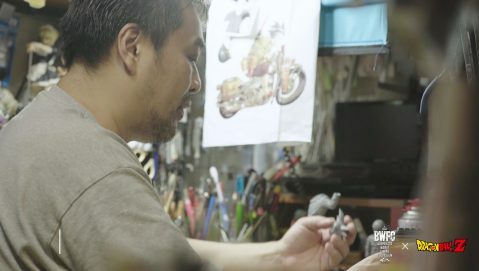 Get to know Banpresto World Figure Colosseum 2018 contestant Yuta Fuke, representing Japan and sculpting Don Kreig in this 1-minute Artist Spotlight. 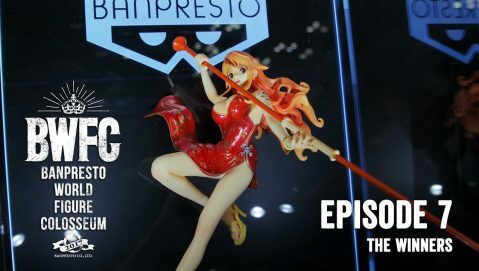 Get to know Banpresto World Figure Colosseum 2018 contestant French Doll, representing Korea and sculpting Nami in this 1-minute Artist Spotlight. 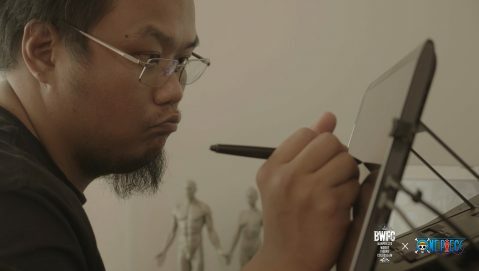 Get to know Banpresto World Figure Colosseum 2018 contestant Jem Gonzales, representing the Philippines and sculpting Goku Black Super Saiyan Rosé in this 1-minute Artist Spotlight. 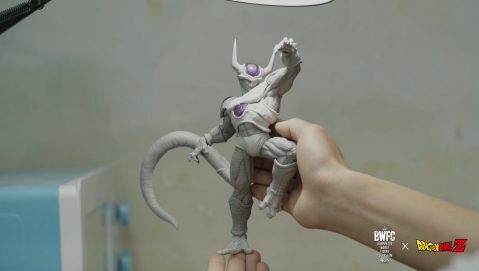 Get to know Banpresto World Figure Colosseum 2018 contestant Lee Doo Yeon, representing Korea and sculpting Freiza's 2nd Form in this 1-minute Artist Spotlight. 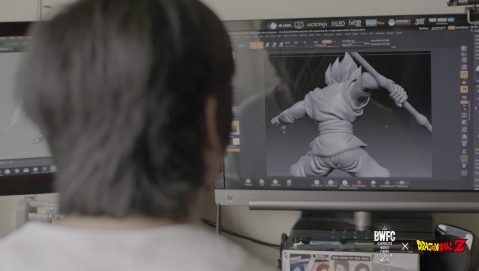 Get to know Banpresto World Figure Colosseum 2018 contestant Hiroyuki Nakazawa, representing Japan and sculpting "Military" Son Goku in this 1-minute Artist Spotlight. 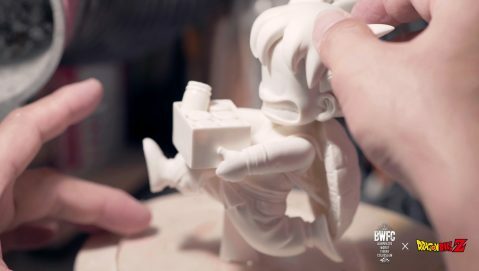 Get to know Banpresto World Figure Colosseum 2018 contestant G.O., representing Korea and sculpting Child Goku in this 1-minute Artist Spotlight. 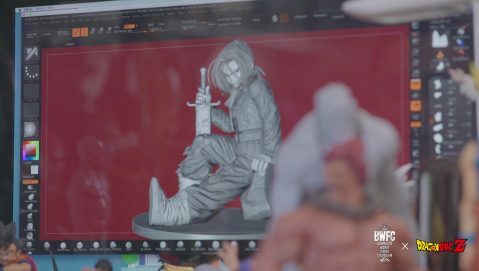 Get to know Banpresto World Figure Colosseum 2018 contestant and 2017 champion VAROQ, representing Japan and sculpting Android 17 in this 1-minute Artist Spotlight. 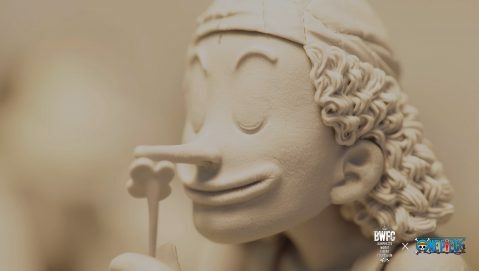 In the third episode of the BWFC, Zhansong Wang from China talks about the importance of getting the face of the figure just right, while Noriyuki Yamaguchi explores the precision and background research required to nail a dynamic pose just right. 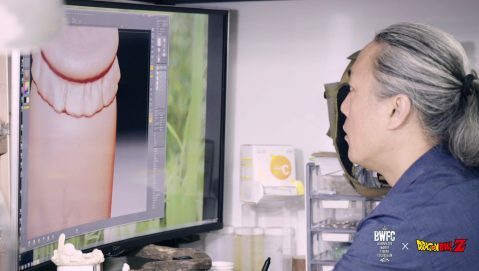 VampyBitMe wears a cute little retro one piece. 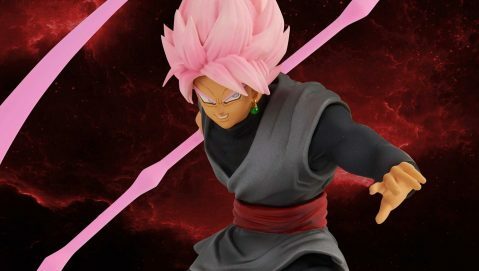 The winners of the Banpresto World Figure Colosseum 2017 are announced at New York Comic Con 2017 with interviews from all the contestants.